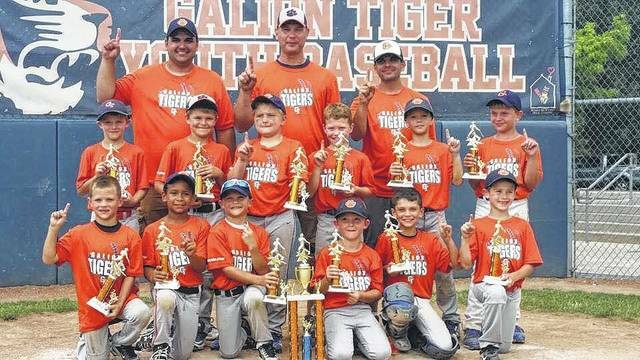 GALION — Last weekend Galion hosted its own Galion 8u Stewart Memorial Tournament. Galion’s 8U Orange team finished first in the tournament, knocking off No. 1 seed Lexington 14-3. The weekend before, Galion’s team finished second to Lexington in the Ontario Baseball Bash. In that game, Galion had the lead going into the top of the 6, but couldn’t hang on. Galion’s coaches spent the next week telling their players it was revenge week. This weekend, the locals are headed to Tiffin to play in the Robert “Bo” Reid Memorial Tournament.